Back injuries can be difficult to diagnose when they don’t happen as result of some major trauma like a car accident or fall. Even if you just pick up your baby the wrong way, a lower back injury can require back injury treatment. A common demand of those who’ve started playing a new sport is lower back injury treatment. You may need low back injury treatment, mid-back injury treatment or upper back injury treatment at some point in your life to continue an active lifestyle. Come to our sports injury clinic to get your pain evaluation and treatment. 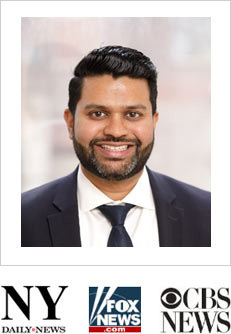 Meet our back pain doctor Febin Melepura M.D. to get the pain relief you need in the safe, reassuring hands of the best back injury specialists in NYC. Pain is complicated. And back pain can be one of the most difficult to figure out. Getting to a proper diagnosis drives your NYC physician to the right back injury treatment. But it’s difficult to arrive at the correct conclusion without clear, direct information about your previous back injuries, a complete medical history, diagnostic tests and a thorough explanation: when your pain started, how bad it gets and how often you feel it. When various nerve endings are stimulated for any reason, your body translates that feeling as pain. Its role is to alert you that something is wrong. Pain is the body’s way of telling you when to stop what you’re doing and rest or seek back injury treatment. Additionally, pain can occur as a result of nerve damage, such as when you get a pinched nerve in your back. Soft tissue damage, while not always constituting an emergency, should be looked at by your pain management doctor soon after it occurs. Most low back injury treatment is due to injuries to the soft tissue in your lumbar region or lower back. And the pain can be devastating, leading to muscle spasms that prevent you from working, playing your sport or following your fitness routine. Obesity, smoking and inactivity also strongly increase your risk of experiencing back injuries that lead to lower back injury treatment. 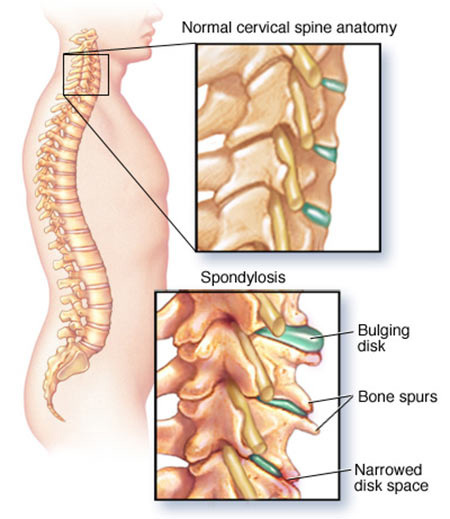 The discs between the vertebrae in your middle back are the thinnest, so damage in that area leads to much greater reduced flexibility. Your middle back region also is more prone to compression fractures than any other part of your back. Without upper back injury treatment, you might have trouble throwing a ball, typing or even sitting comfortably. Mid-back injury treatment often is closely related to upper back injuries, as the middle of your back is considered part of the thoracic region of your upper back. So, don’t wait, get all back injuries diagnosed. Do you have any questions about the back injury treatment we offer in NYC? Would you like to schedule an appointment with the best rated back pain doctor Febin Melepura MD of sports injury clinic in New York? Please contact our office for consultation with the back pain relief specialist in Midtown Manhattan.